A big thank you to our friends and family for all of the support this past year. 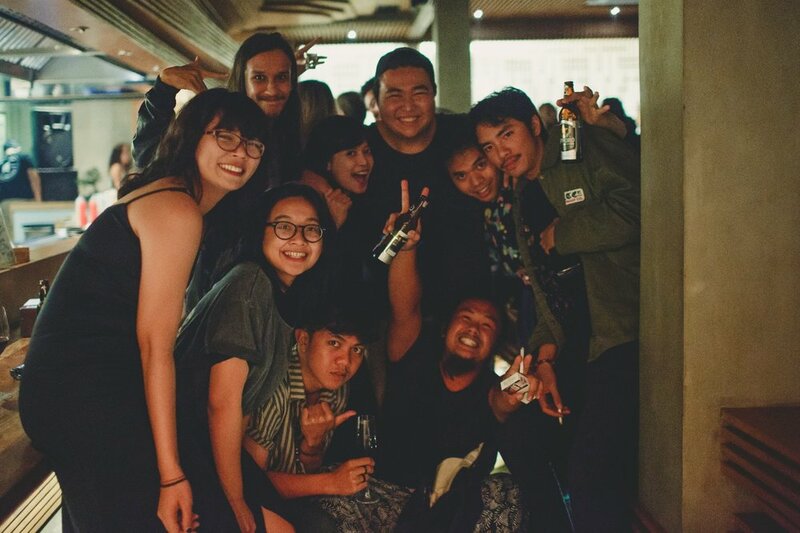 Musubi’s 1st Anniversary party was a blast! 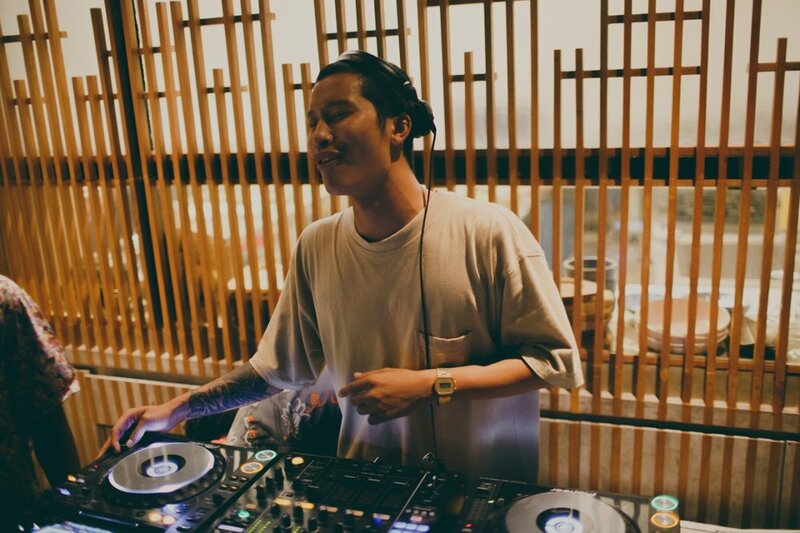 We had Jakarta’s very own Amahl spinning for the night and pass around canapes and Japanese cocktails for the celebrations! Cheers to many more years to come! Midnight Nomikai this time around was an even bigger turnout with fresh faces joining in on the fun! Our guests for the night were PEMUDA DAN OLAHRAGA ( DJ Kas & Ican Harem) who brought the house down with their selections from hip hop to Indonesian 90’s to everything in between. Stay tuned for the next one! Kaminari Group now offering catering services! 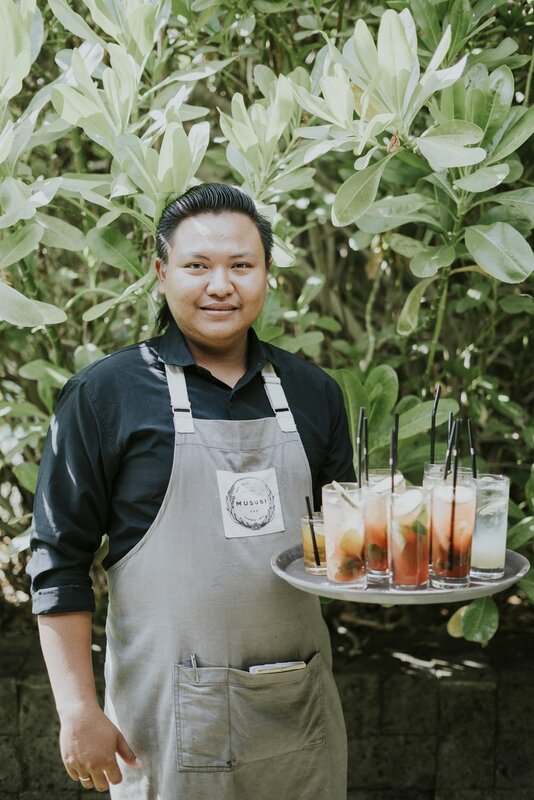 Kaminari Group is now extending their services and offers catering and bar services for weddings, corporate events, or any special occasion! 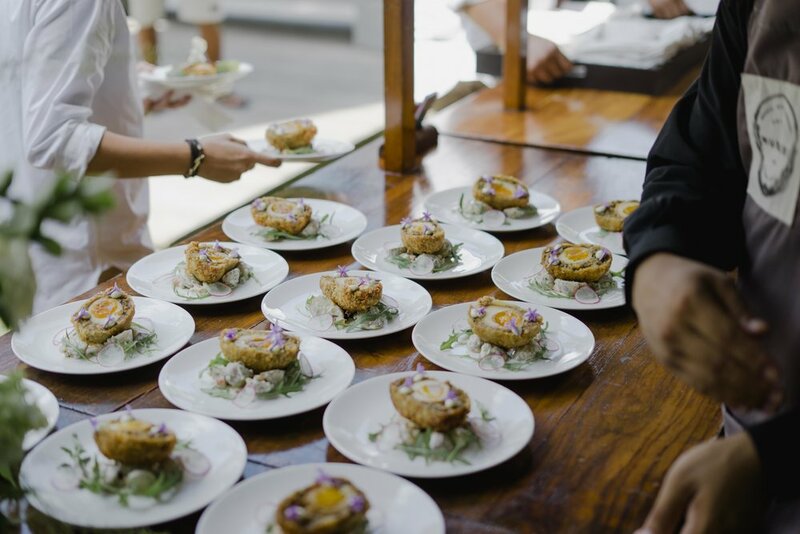 From traditional to modern Japanese cuisines, we provide the highest quality and services to make sure every event is a memorable one. Kindly email catering@kaminarigroup.com or call +6281283485845. Midnight Nomikai - Rayjin's 5th Anniversary Special! Another one for the books! We celebrated our 5th anniversary last Friday with the usual party gang and a bunch of new faces this time around! Midnight Nomikai has been picking up speed and has been one of the most anticipated events among our guests, family, and friends! 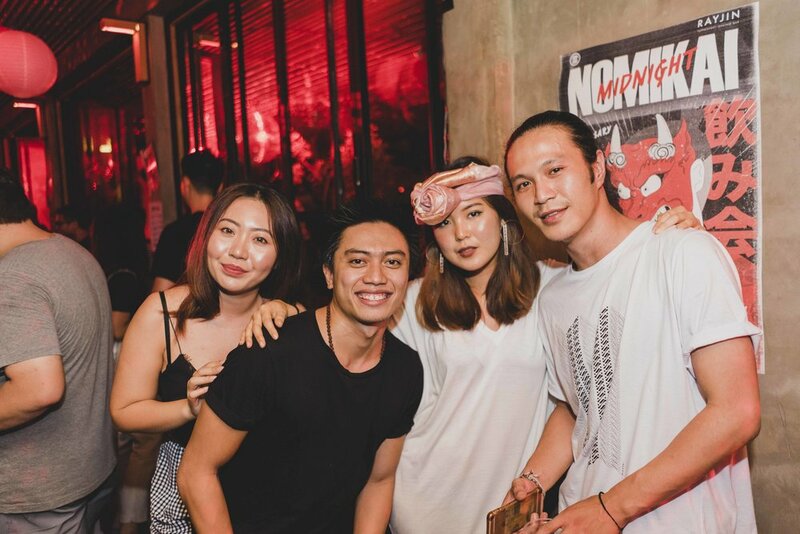 With great vibes, great music, tasty bites, and strong drinks, it's no wonder the Midnight Nomikai family grows each and every time! 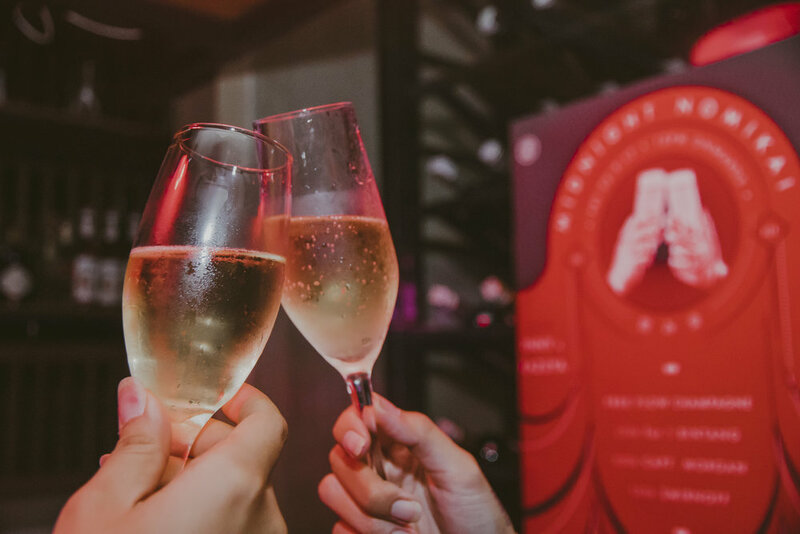 For our anniversary, our guests enjoyed free flow kushiyaki and sangria as well as Chu -hai and bottle specials all night long. 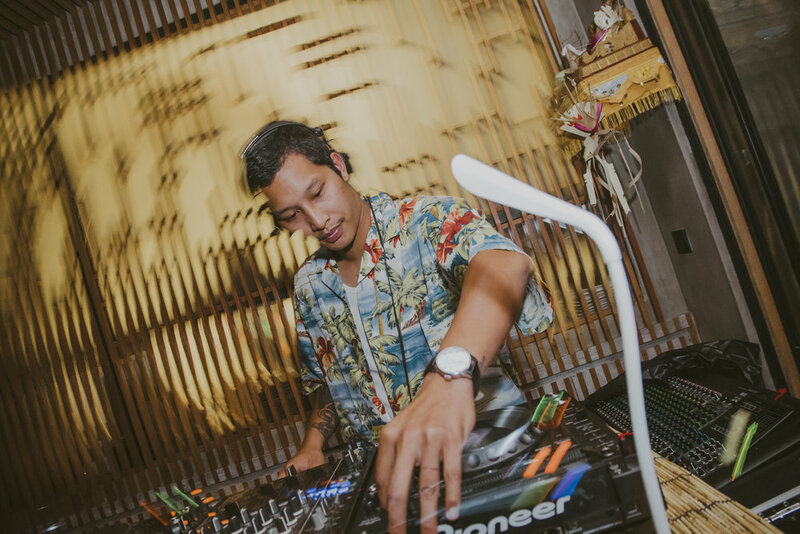 This time we invited one of Bali's finest on the scene, DJ Syviov who threw down a brilliant set from start to end, mixing rnb to hip hop and everything in between. 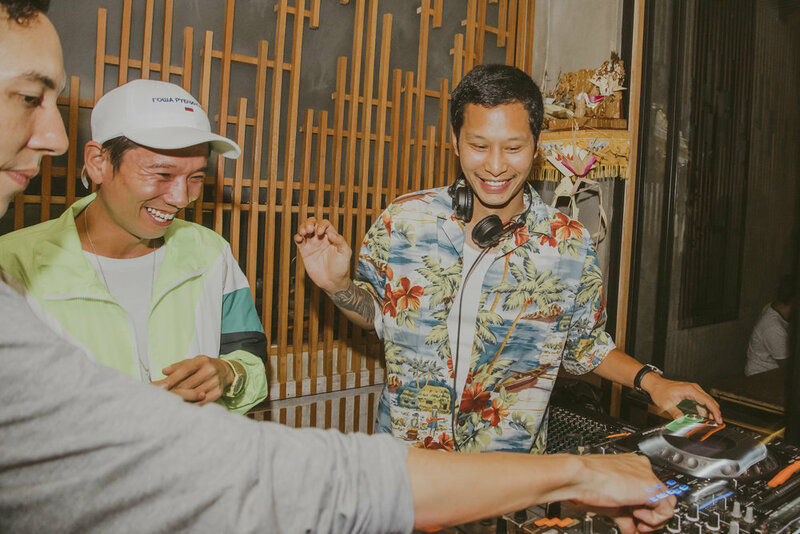 A resident at one of Bali's best nightclub and frequently playing overseas, it was a pleasure to have him gracing the decks for our after hours party! A big thank you to all of you who canw out and celebrated our anniversary with us! Cheers to many more years and see you at our next Nomikai! We thank you for your loyal visit and support to our beloved establishments. It has been our pleasure to welcome you to our restaurants and to offer you our unique and diverse Japanese dining experiences. 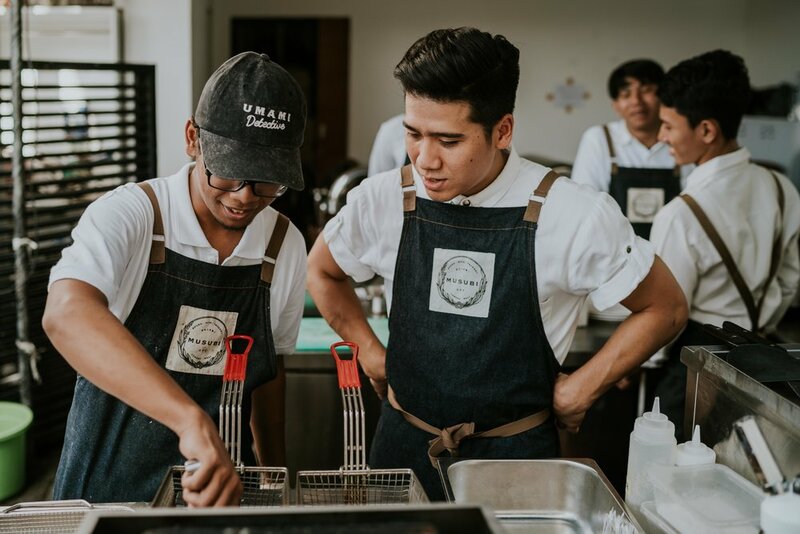 As one of the leading Japanese restaurant management companies in Bali and Indonesia, we (Kaminari Group) continuously create, innovate and maintain the highest standard of our food and beverage offerings. 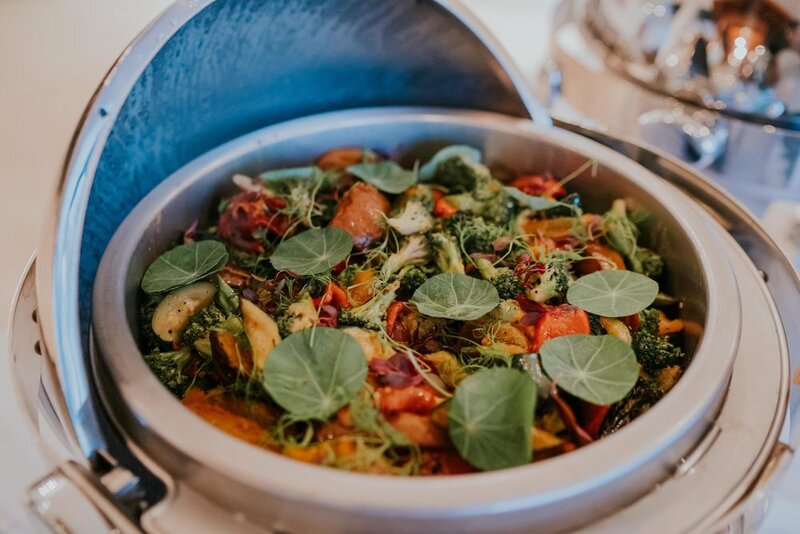 Over the past years, we have been proudly serving to you our originally-made and further-refined recipes at our restaurants. It has come to our attention that there have been attempts, by parties not related with our company, to replicate the successes of our establishments. We are humbled by these attempts as these reflect the excellent quality of dining services that we offer to our customers. We look forward to welcoming you to our restaurants and sharing our passion in the food that we serve. Following the successful of the previous event with Sandrayati Fay and Leanna Rachel, Sunday Music Session was back held on 8th of October 2017 performed by Manja Band, one of the island’s favourite young and energetic alternative rock bands. If you have ever heard about The Mangroove, Bali’s finest reggae band and AMI (Anugrah Music Indonesia) nominated, then you must have known the side project called Manja. The music is all about dreamy pitch under the genre of alternative rock and indie/prog’ rock with a bit touch of psychedelic. They are known for the arrange covers in their own interpretation as well as showcasing their original songs. Started from 7pm, Manja was on the stage with James on vocal while holding his guitar, Nick was so ready with his electric guitar and Mark’s finger was up on the keyboard. Radiohead’s High & Dry was the first cover song they played and successfully turned the vibe into such a romantic out-dine. 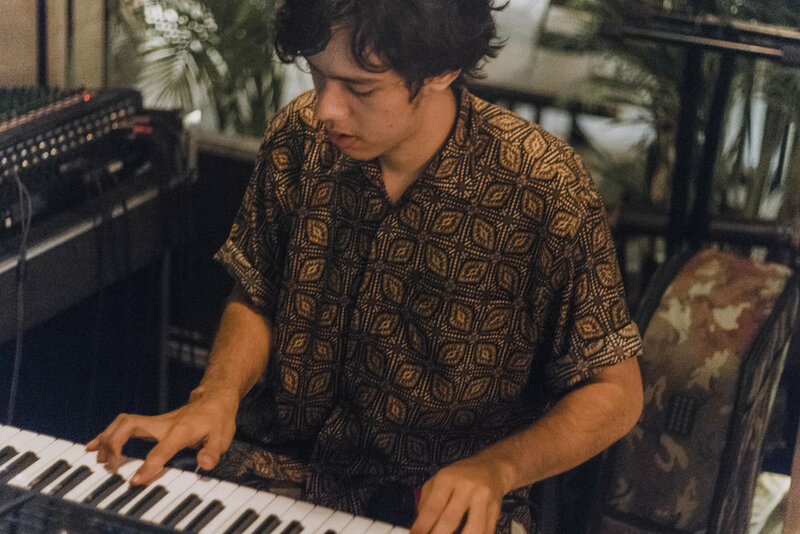 Then, song from Coldplay, The Kooks, Daft Punk, Childish Gambino, and their own songs were beautifully played with their renditions and twists until 9pm. 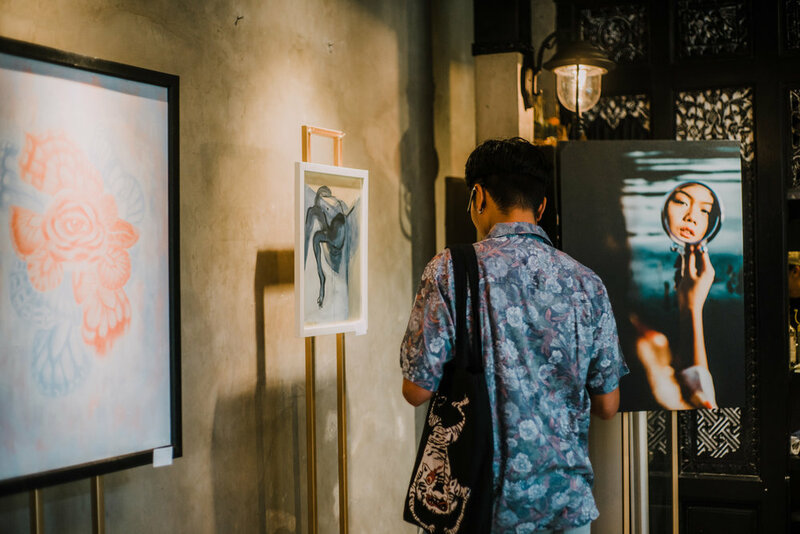 September 23rd 2017 brought down the curtains to another successful edition of Midnight Nomikai Volume 3 in collaboration with our first art exhibition by Andre Yoga, the man behind our iconic Raijin God’s mural. Andre Yoga is known as one of the youngest talented artists; his work is based on characters whether it is fantastical or realistic figures with obvious choice of black and grey palettes. It creates a somewhat surrealist vibrant that emits from his creation with several techniques such as pointillism, dotwork, and other more conventional methods. Exclusively for Midnight Nomikai Volume 3, this Denpasar-born lad was taking his art to another level, creating such a marvelous works on woods. Midnight Nomikai Volume 3 successfully brought back PNNY – Trigan and Kusasi – as the beat maker to lead the dance floor, this time featuring ZUYACK a.k.a Kazuya Setagawa. Heading from Tokyo, Kazuya’s music could be described as Techno and House with touches of hypnotic & minimal sounds, creating a story across wide and deep latitudes, evolving to and from low-end hypnotic worlds. These three DJs succeed to turned Rayjin into such a musical journey that kept people glued to the dance floor. 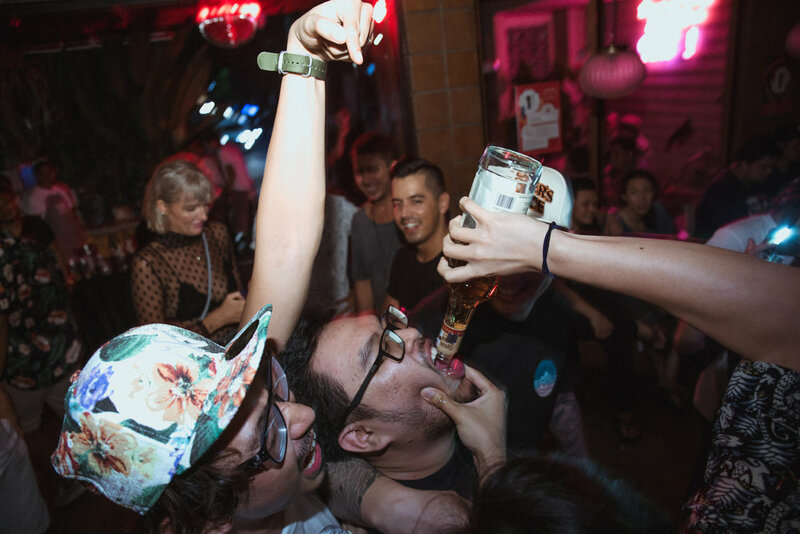 People were to enjoy promos of beverage such as free flow champagne, 150K for 5 beers, and 500K for Smirnoff or Captain Morgan. 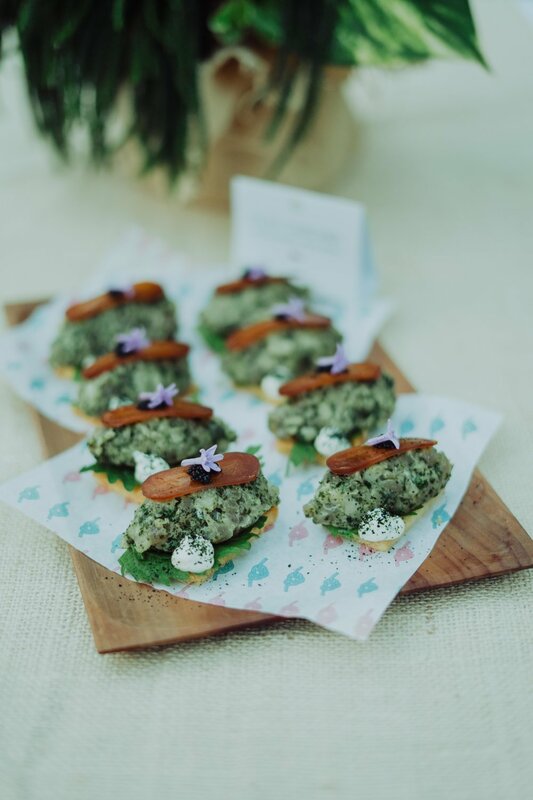 Canapés of smoked ox-tongue croquettes and gyozas were also brought out for everyone during the party. At the end we would like to thank everyone who came and enjoyed the party. Let’s look forward to the next volume, shall we? Art is one of the main ideas of Japanese culture. The Japanese affection towards art has been implemented to various things, even in their daily life such as food. 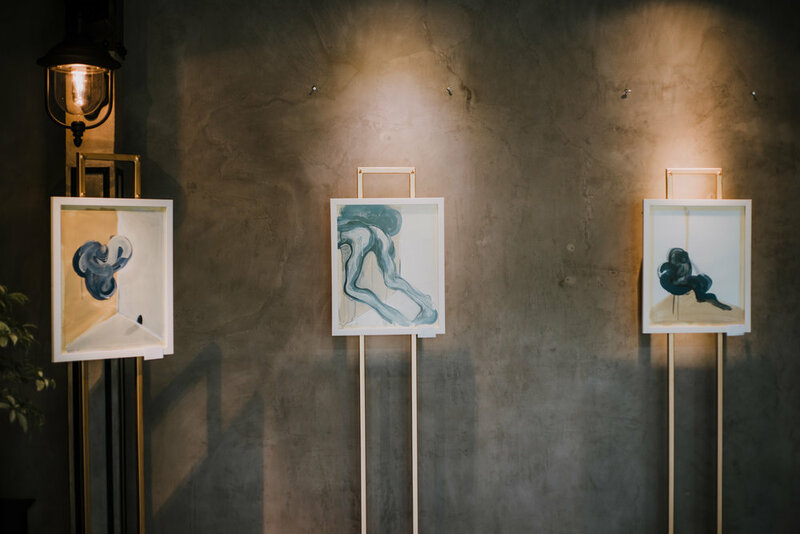 Based on this idea, Dahana Restaurant held the first art exhibition: Dahana Artfair, featuring some young emerging artists like Naomi Samara with her amazing abstract paintings, Wicitra Pradnyaratih with her beautiful paintings and sketches and Lenterra with their wonderful fashion photographs. The artfair was held on Sunday, July 9th 2017 from 12 to 8 pm and supported by Jezz Gallery. 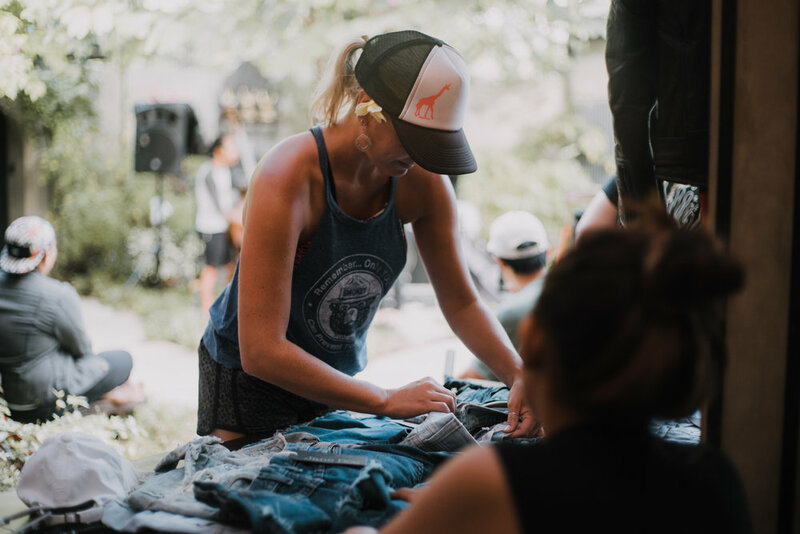 Jane Doe Store from Canggu was set to be the only fashion booth at Dahana Artfair, offering lots of cool vintage apparels ranging from denim, jewellery, shades and more. Also not to be missed, Sandrayati Fay was invited to perform during the artfair. The Filipino/Irish-American roots was born and raised on the island of Bali. Sandra delivered three sets of magical acoustic performance and right away captivated the heart of the audience with her enchanting voice. Not only art and music, Dahana Artfair also offering food bazaar that people can enjoy various foods. Offering takoyaki (octopus balls), variety of sushi and two special menus such as sushi burger and gyoza fried chicken, all perfectly set up for guests to enjoy accompanied by some fresh juices and smoothies. What a Sunday that was! Thanks to everyone who came out and got down with us at Dahana Artfair 2017 and hope to see you again on our next art exhibition! After the successful Mid Night Nomi-Kai Vol. 1 last year, we are excited to bring the euphoria back and at the same time celebrating the 4th anniversary of Rayjin Teppanyaki & Dining Bar. Mid Night Nomi-Kai Vol. 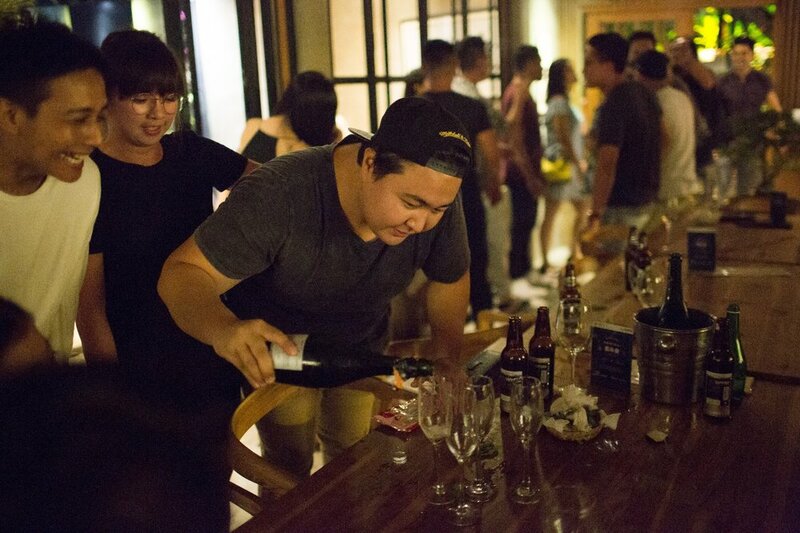 2 was held on 14th of April 2017 with tons of fun, good music and promoting free flow of champagne and Japanese beer. 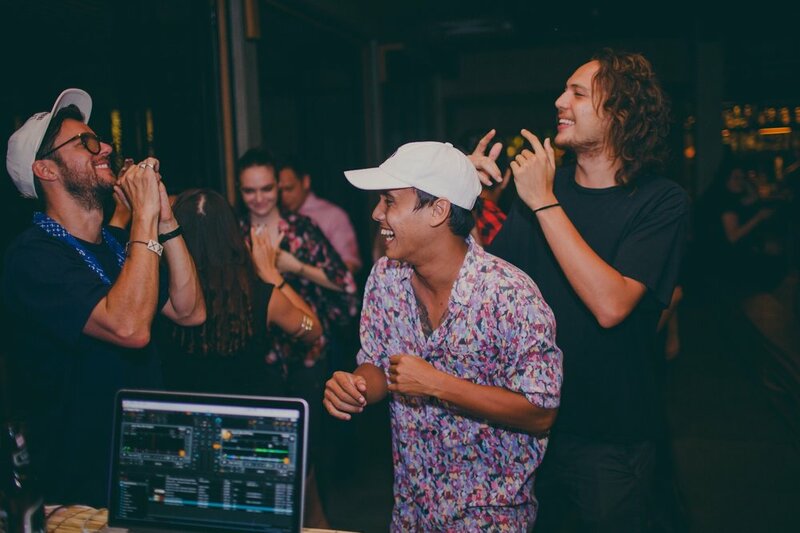 Electrifying the floor are Trigan Young and Kusasi from PNNY Collective, one of the finest collectives on the island known as some youngsters - Bali born and raised DJs, qualified sound engineers and party organizer. Both of them successfully delivered such an epic disco tunes to blast the crowd. Guests were allowed to enjoy free flow of champagne, canapé, and with only 250K guests can drink unlimited bottles of ice cold Sapporo. Rayjin’s kitchen was also remain lively during the party as we noticed it was a good thing to deal with hangovers. From appetizers, main courses to desserts, we covered it all. At the end of the night we would like to thank you for all guests who came and celebrated the anniversary with us together at Rayjin. We will see you soon on the next Nomi-Kai! January 28, 2017 marked the beginning of the Lunar New Year 4714 where the cultural festive is also celebrated in major establishments on the island. Also known in China as Spring Festival, a big part of the celebration is about bringing family and kin together in a feast. Gifting red envelopes to children, lighting firecrackers, lion dance, and red decorations are common sightings during the Chinese New Year. 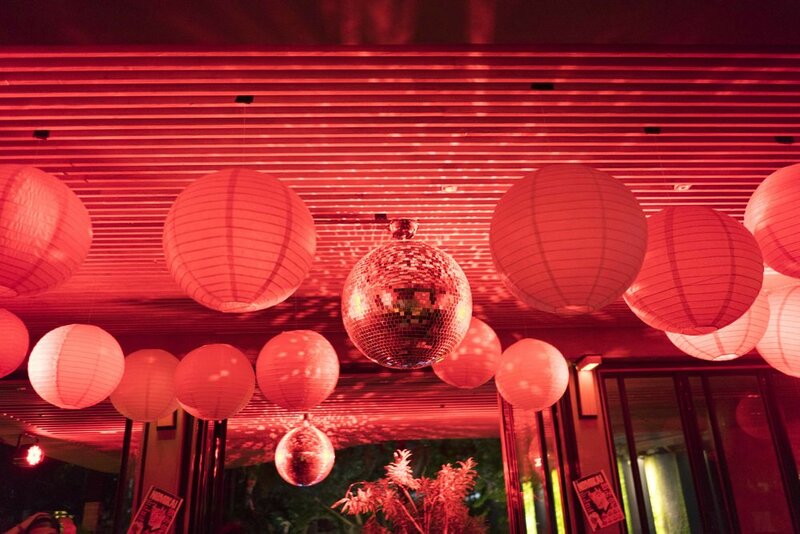 The color red is regarded as a symbol of energy, good luck and happiness. Rayjin Teppanyaki & Dinning was proud to take part in the festive by offering Dragon Lady – special red cocktail and by giving the red envelopes or famously known as hong pao. Customers are given a choice to pick one of six envelopes where the guests can found few complimentary such as free cocktail, free Gyoza, free Chicken Nanban, free dessert, free ice cream and also a 250K voucher as the jack pot. Finally we would like to say Happy Chinese New Year to everyone and may the year of rooster will bring you good wealth, health and happiness throughout the year!